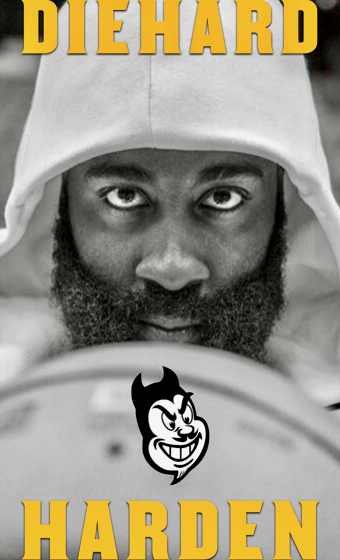 DieHard Devil. Are You? Prove it. We say it enough that sometimes it may lose its impact with fans. But it is the cornerstone of a louder, stronger, more united Sun Devil Nation. It’s the new standard worthy of the best Sun Devil fans across the country. 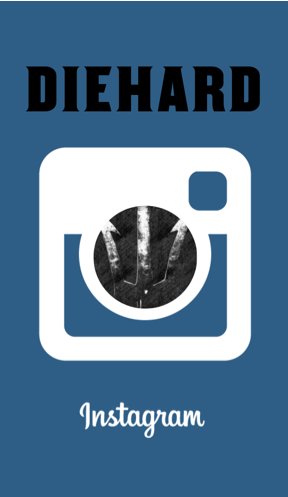 Today we put a spotlight on an organization of DieHard Sun Devils that prove it every day. 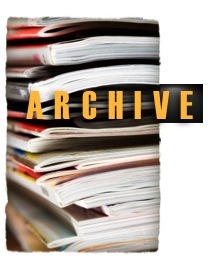 The WMSDC&AC is one of the best examples of Devils who come together with big goals. They create bigger opportunities to support our community, our athletic department and our university. And this group is made up of fans, alumni and boosters just like you. Some call ASU their alma mater, while others are just great Sun Devil fans. The White Mountain Chapter was born only 7 years ago, and they have developed a collaborative effort of the Sun Devil Club and the Alumni Association. Although they are one of the youngest Chapters, the right individuals came together with a vision, and now the Chapter serves 10,000 Alumni in north-east Arizona and New Mexico. These passionate boosters and alumni aren’t all about big game-watching parties. They have taken it upon themselves to develop a hybrid chapter that supports not only the White Mountain community, but also ASU through the Alumni Organization and the Athletic Department through the Sun Devil Club. They have committed $100,000 to the Sun Devil Legacy Program for student-athletes, $100,000 to an Endowment Scholarship fund for high-school students in the region and $44,000 annually over a four-year period to cover the costs of tuition for select students to attend ASU. Remember last years effort to raise $150,000 so Coach Graham could bring the program back to Camp Tontazona? This is the group that helped make it happen by matching donations of $65,000 in the final month of the campaign. 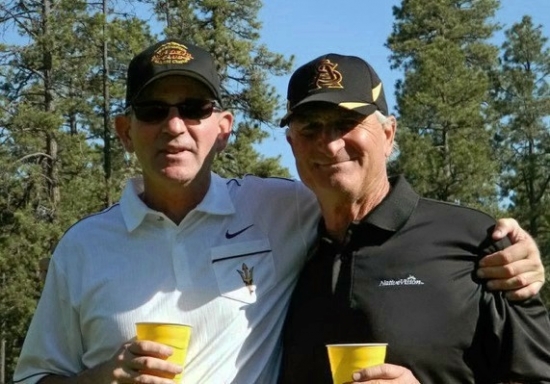 ASU Tradition was restored and the iconic camp started by Coach Frank Kush in 1960 was back. Their signature event is the annual White Mountain Steak Fry and Golf Tournament (June 21-22). The theme of this year’s event which is hosted at the Pinetop Country Club in the White Mountains, is “Honoring our ASU Heritage and Tradition.” Saturday night’s Steak Fry is probably deserving of a flashier name like the White Mountain Crows Nest Party. Under a huge tent are the whose-who of Sun Devils, boosters, coaches, good music, food, silent auctions and dancing. Entertainment is provided by “Shallow Water” who’s musicians are all former ASU marching band alumni and Sparky himself. 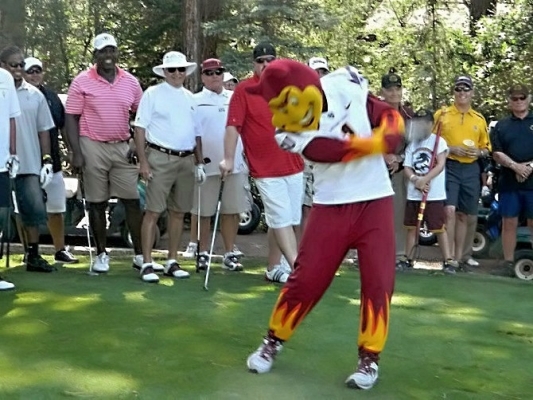 This years guests include coaches Todd Graham, Herb Sendek, Clint Myers, Melissa Luellen, Shawn Charles and Frank Kush. Former players will include Rudy Burgess, “Jumpin” Joe Caldwell, Joe Spagnola, Jeff Van Raaphorst, Juan Roque, Jim Warne and athletic director Steve Patterson. You can also expect four of ASU’s college football hall of famers including Randall McDaniel, Ron Pritchard, Mike Haynes and Danny White. Also attending will be NFL hall of famer, Curley Culp. There may even be a big surprise or two in attendance. How big and important is this party? 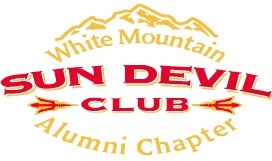 The White Mountain Sun Devil Club & Alumni Chapter have 25 board, committee and volunteers who work year round on planning, attracting corporate sponsors and promoting the event to people like you who they would love to meet and get involved. In fact, Van Raaphorst, Andrew Walter, Grey Ruegamer, Scott Peters, along with radio personalities Brad Cesmat and Dave Pratt, serve on the chapter’s “Advisory Board”. Brad Cesmat also serves as the events official Master of Ceremonies. 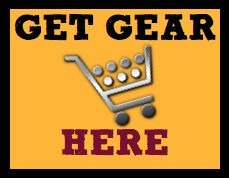 This year is actually out-selling last year when 500 Sun Devils came together for the event. It’s on that weekend (this year will be June 21-22) that the group raises the large majority of its boosting dollars to do their part with the Alumni Organization and the Athletics Department. So what’s this party to promote a bigger Sun Devil party thing all about? 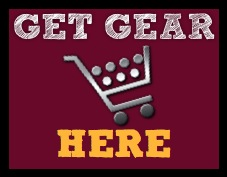 Next Saturday (April 13) before the Sun Devils Spring Football Game, the WMSDC&AC is hosting a Spring Game tailgate party at the Hobbs Varsity Golf Center at Karsten Golf Course, next to the Kajikawa Practice Fields. It’s their goal to get 50 new Sun Devils like you to show up, drink Bloody Maryʼs & Margaritas (cash bar) and whack a few balls at the UofA target on the driving range. They are promoting the big Steak Fry in June and have lots of information. All of the details of the morning are handled including shuttles to transfer you directly to Sun Devil Stadium for kick-off. Park in the Kajikawa Practice Fields lot, right next to the Hobbs Varsity Golf Center at Karsten Golf Course. 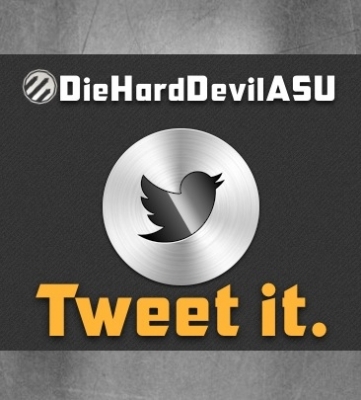 So are you a DieHard Sun Devil? This is a small gesture and an easy way to Prove it by joining these fine folks at their tailgate next Saturday morning, April 13. Hope to see you there. Registration and info for next Saturdays Spring Game Tailgate and Golf Shootout are here – April 13, 2013 Pre-Spring Game Tailgate or send an email to wmsdctailgate@gmail.com. Here are links to the ASU White Mountain Chapter Alumni page and their Steak Fry in June. Ted Cesarano is the chairman of the board and the outgoing president. He leads the sales and sponsorship efforts for the events. Ted and his wife Barb are the foundation on which all charitable efforts have been built. Dave Lyons ’88 is the current president elect after serving several years as treasurer. Reach Dave at dplfromasu@cox.net. Jim DesRochers is the current vice president. He is also the chair of the golf tournament which is on Saturday of the June event. He and his wife Kriss head up the silent auction at Saturday night’s party. Their is a waiting list for Golf on Saturday, and you can contact Jim for additional information at AsuSteakFry2013@gmail.com. Rudy Burgoz heads all efforts and relationships with the ASU coaches, former players, the administration and celebrities. You can contact Rudy at sundevilrudy@gmail.com.